Formula 2 driver Santino Ferrucci was once America’s next great hope for a Formula One driver, but it only took him a few days to tank that by driving a race car with a phone in his hand and crashing into his teammate after a race. His former team has now kicked him out because of that and, the team claims, not making his payments to race in the first place. Since the beginning of the championship, the Driver justified its payments’ default with alleged failure by his sponsors to fulfil their obligations. It seems weird that, despite such kind of issues, Santino Ferrucci had the resources needed to enter the Detroit INDY race from June 1st to 3rd while, at the same time, he was not honouring his agreement with Trident Motorsport. Trident gave mandate to its lawyers in order to activate all the procedures needed to fully recover its credits towards the driver. Jalopnik has reached out to Ferrucci about his side of the contract termination, and will update this story if we hear back. Aside from the payment claims from Trident, there was a lot of apparent other strain on this relationship after Ferrucci’s Silverstone meltdown. Ferrucci got penalties, a disqualification and a four-race suspension over the course of the weekend at Silverstone for the phone and wrecking incidents. He didn’t show up for hearings with stewards about the incidents, and later said it was because he had to catch a flight to attend to an urgent family medical issue. The team said in another tweet that its lawyers would deal with the contractual implications of Ferrucci’s actions during Silverstone weekend, and it didn’t take long for that to happen. 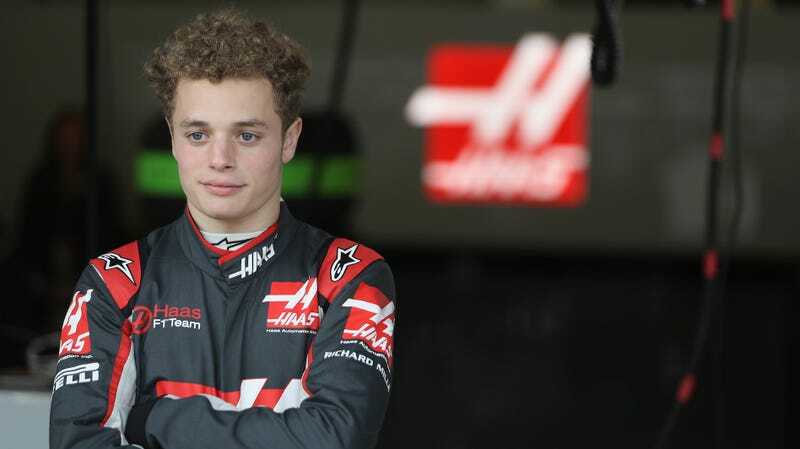 Ferrucci has been in the Haas F1 pipeline since the American team announced him as a development driver early in 2016, and it was mostly welcome news in the U.S.—American drivers historically haven’t gotten many chances in F1. Haas F1 team principal Guenther Steiner even said at the start of the year Haas wants an American driver, but that he felt like none are ready for F1 yet. Haas has stayed rather quiet on the Silverstone news since Motorsport.com reported Steiner said he was “gonna deal with [it]” in the week after the race, and the team sent Jalopnik a statement from Steiner via email on Wednesday. Until we hear more, there’s always other potential to actively cheer for in F1 that’ll make you feel as passionately as a driver representing your own country might. More passing and louder cars are always good, honest places to start.